Dylan Olsen is one of the Hawks' top prospects. On the day that the Blackhawks lock up more of their core with contract extensions, fans can look forward to the team’s future with great anticipation. But with the news that Patrick Kane, Jonathan Toewsand Duncan Keith are getting big raises, there is also concern over which players on the current roster might have to leave to make room for the financial considerations being made to keep this great group together. The position that’s drawn the most interest, intrigue and rumors has been the Hawks’ blue line, where Brent Sopel and Cam Barker have seen their names headed to nearly every corner of North America in the last few weeks. Sopel has been rumored to be headed to Toronto, Carolina, and even Rockford, while Barker’s been rumored to be a popular name in Ottawa, Carolina and New York to say the least. Barker, who was selected with the third overall pick in the 2004 NHL Draft following Alex Ovechkin and Evgeni Malkin (and, coincidentally before Andrew Ladd, the fourth overall pick), is a player that carries a lot of unsettled emotion with Hawks fans. He’s still just 23 years old, so many fans still hold out hope for him to develop into a premier defender. Meanwhile, many fans still associate Barker with the two elite superstars he followed to the podium in 2004, which leaves many fans disappointed. No matter how Barker, or Sopel, is viewed, the concern when you hear trade rumors swirling around a first place team is not only the value received for the players dealt, but the long term implications of the move. 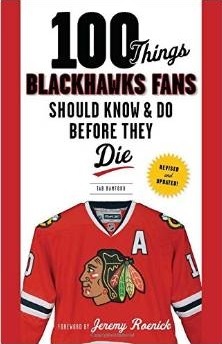 Blackhawks fans can rest assured that any move taking a player off the blue line is done with the future in mind. Stan Bowman can have every confidence that he has players coming through the pipeline that could be ready in the next couple seasons to become premier defensemen. On Wednesday morning, Hockey Canada invited 36 players to Canada’s National Junior selection camp from December 12-16, 2009 in Regina, Sask. The camp is for Canada’s top top junior-aged hockey players (born in 1990 or later), and players from this elite group will make up Canada’s team in the IIHF World Junior Championships. Canada has won five consecutive gold medals in the Championships. Two Blackhawks’ prospects, Dylan Olsen and Shawn LaLonde, have been invited to be a part of the camp for Team Canada. Olsen, 18, was selected 28th overall in the 2009 National Hockey League Entry Draft. He is currently playing at the University of Minnesota-Duluth, and has eight assists in their first 12 contests. Olsen is listed at 6-2, 206 pounds. LaLonde, 19, was selected 59th overall in the 2008 National Hockey League Entry Draft. He is currently playing with the Belleville Bulls, and ranks second on the team with 22 points (7 G, 15 A) in 21 games so far this season. LaLonde is listed at 6-1, 192 pounds. Another Blackhawks’ prospect being recognized internationally is center Marcus Kruger. Kruger, 19, is one of four finalists for 2009-10 Rookie of the Year honors in the Swedish Elite League. He was also selected to be a member of Sweden’s World Junior Championship Team at the 2010 IIHF World U20 Championship. Kruger was selected by the Blackhawks in the 5th round (149th overall) in the 2009 draft.